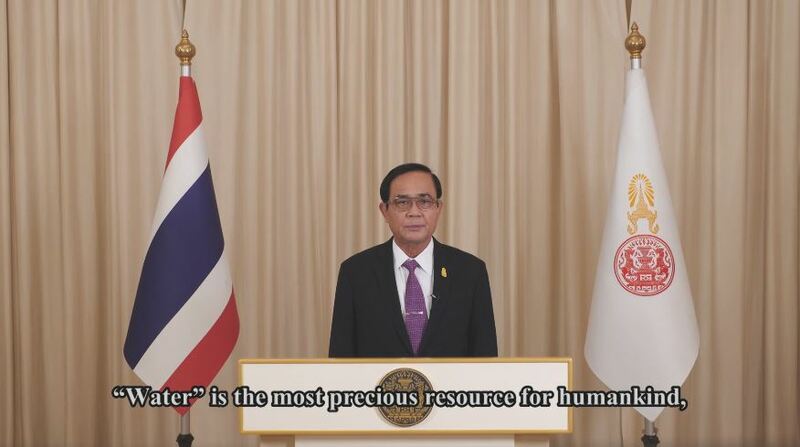 Bangkok – Prime Minister Prayut Chan-o-cha delivered a televised speech on World Water Day, stressing the government’s commitment to water management. The premier made his remarks on a broadcast on NBT television. He said water is an important resource and changes in society and climate changes are posing threats to water resources, causing both shortages and flooding. He said the government has given high priority on solutions for water shortages, and has been working to ensure water availability in all areas, equally so between rural villages and urban areas. The government has made a 20-year national blueprint on water management, and is pursuing campaigns to develop village-based tap water networks which are now 98% complete, and the expansion of urban tap water networks and clean water supplies for schools and communities, which are now 55% complete.